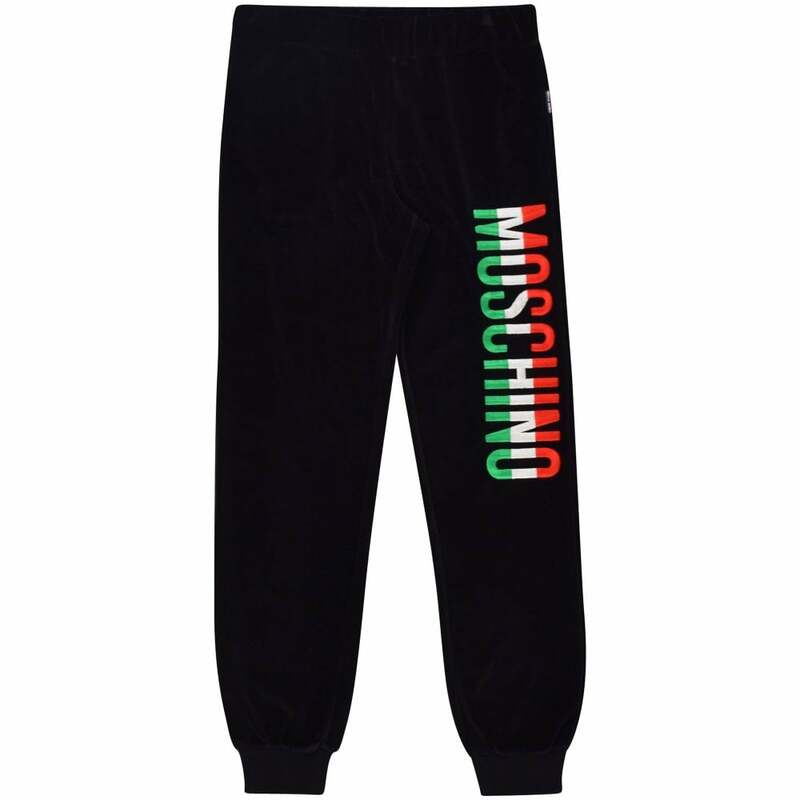 New junior's jogging bottoms from Moschino. Crafted from soft black cotton featuring the brand's logo in text print on the left leg in a combination of red, white and green. Completed with cuffed ankles, drawstring waist and side pockets.